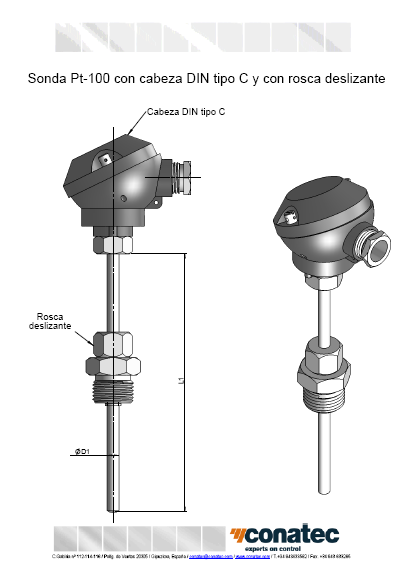 The range of use of the temperature probes depends on the construction type manufactured and on the type of temperature probe used. 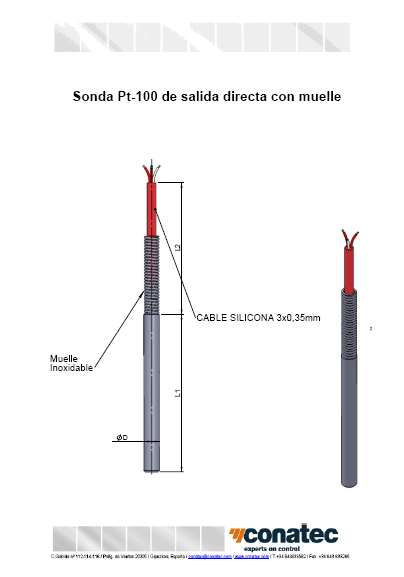 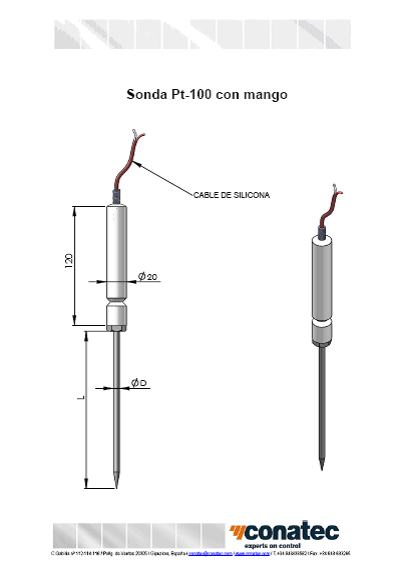 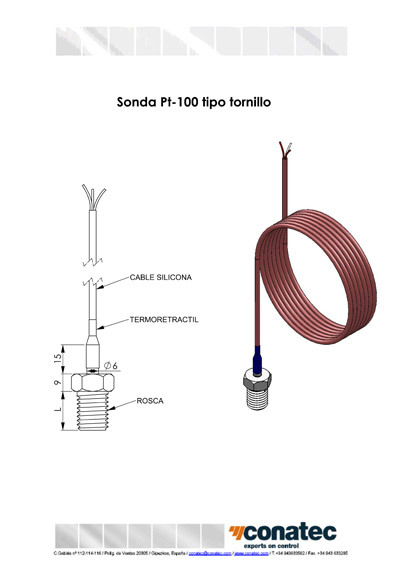 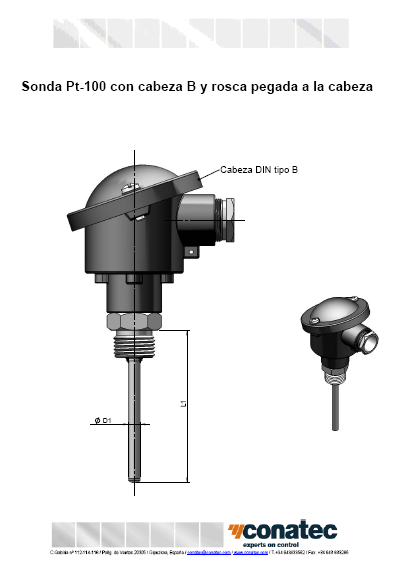 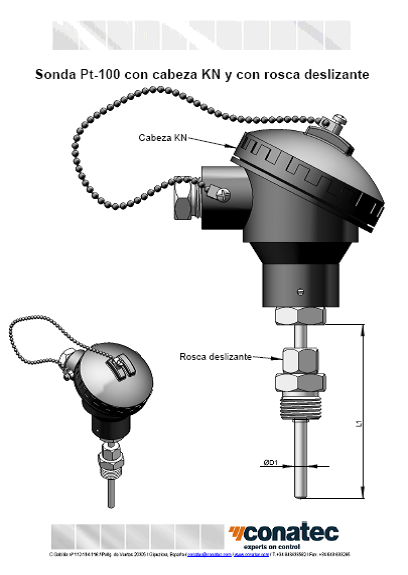 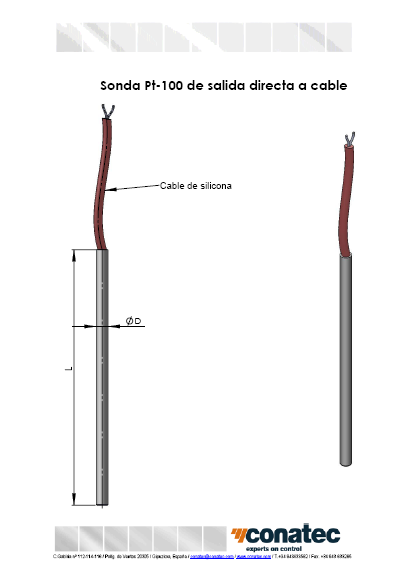 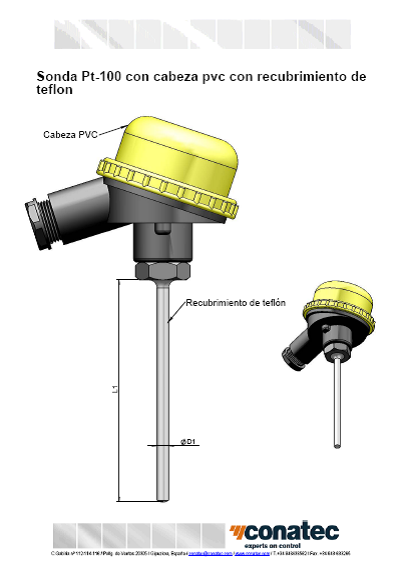 By way of general information, it can be assumed that a pt100 temperature probe with direct output to the cable can operate between -50ºC and 250ºC depending on the cable type and on the measurements of the protection sleeve. 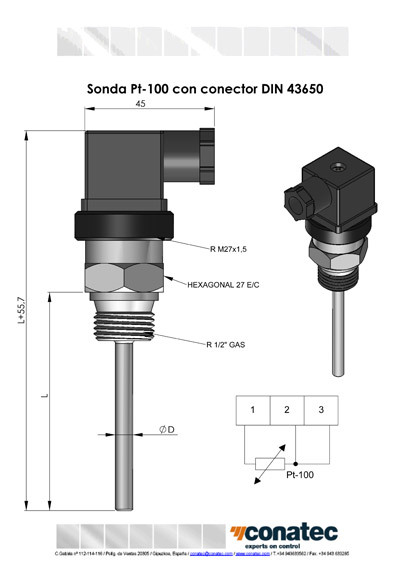 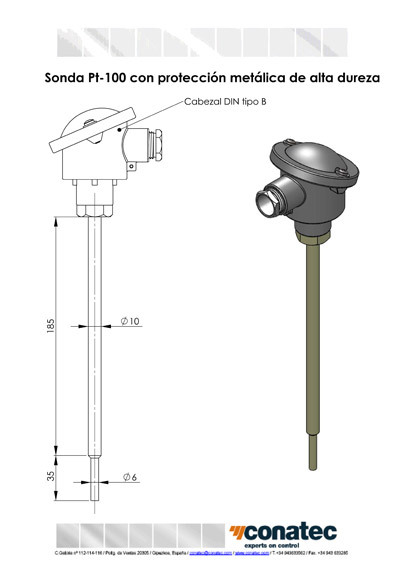 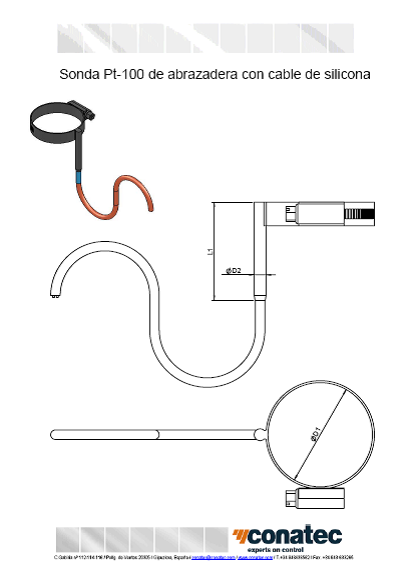 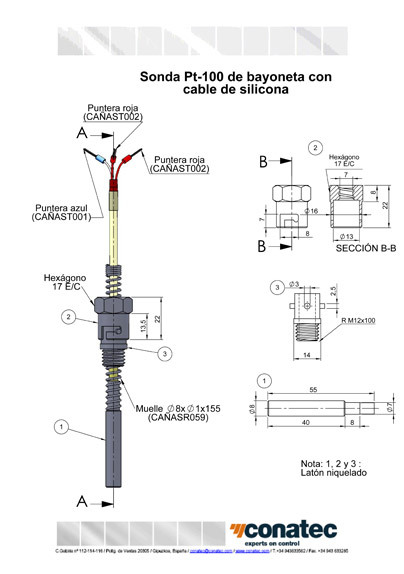 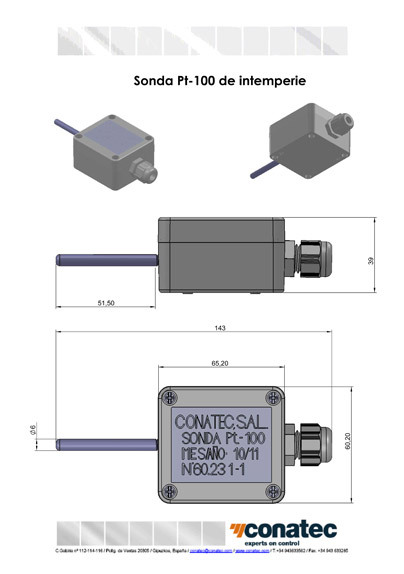 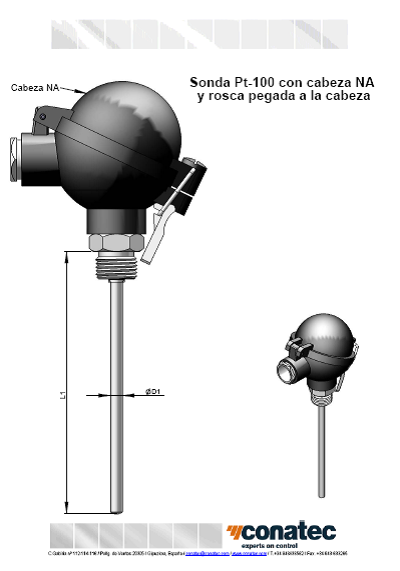 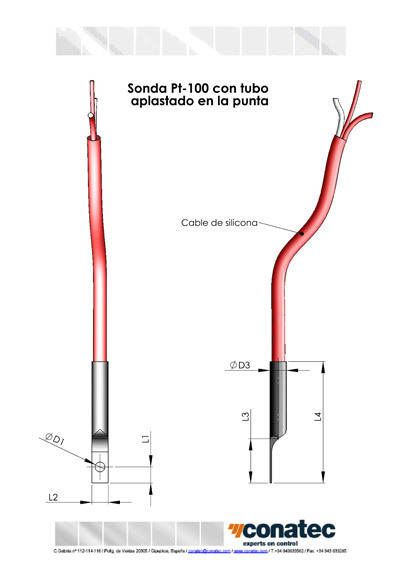 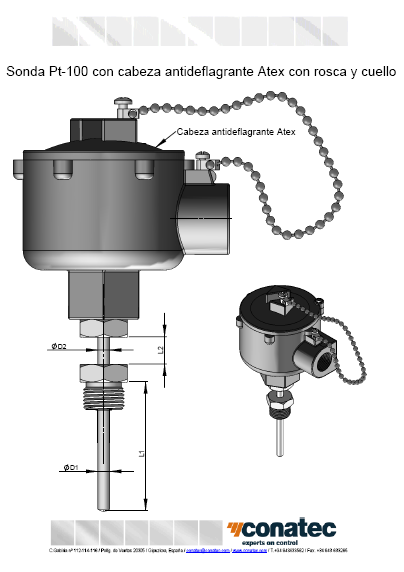 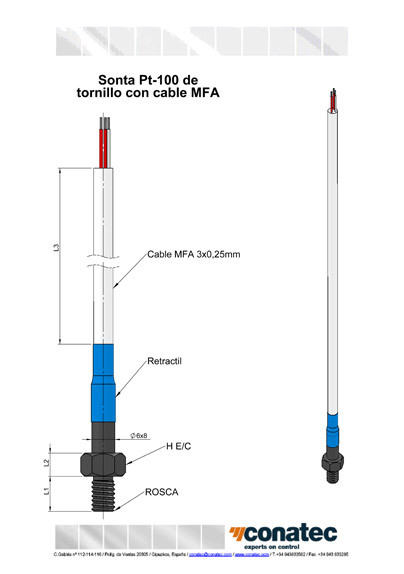 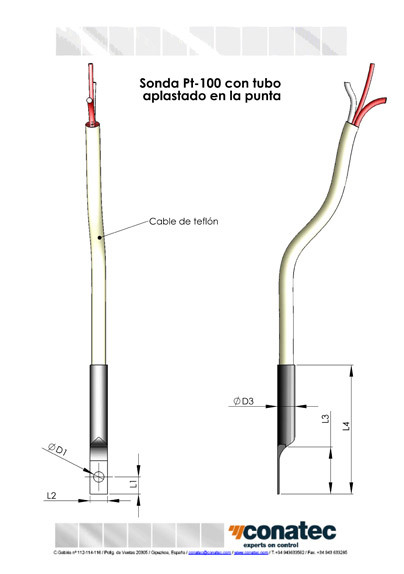 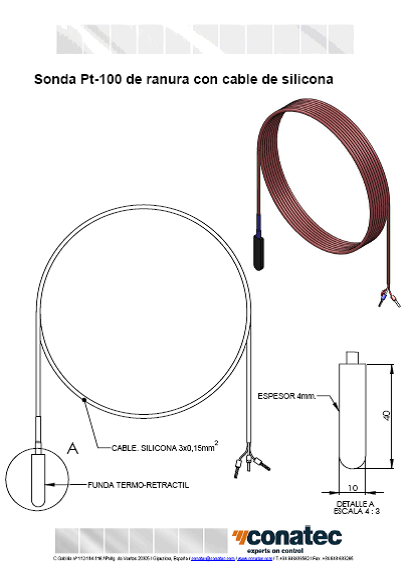 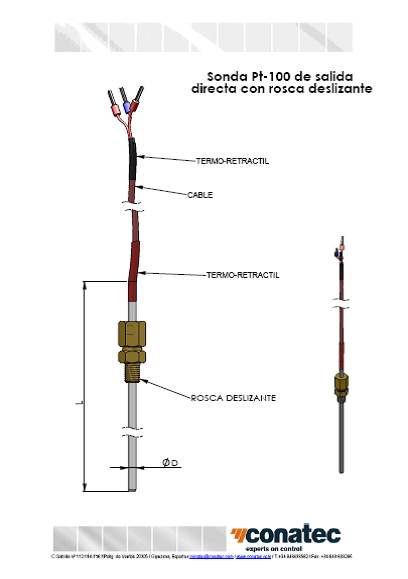 In the case of temperature probes with connection head the most usual range covers -50ºC to 500ºC. 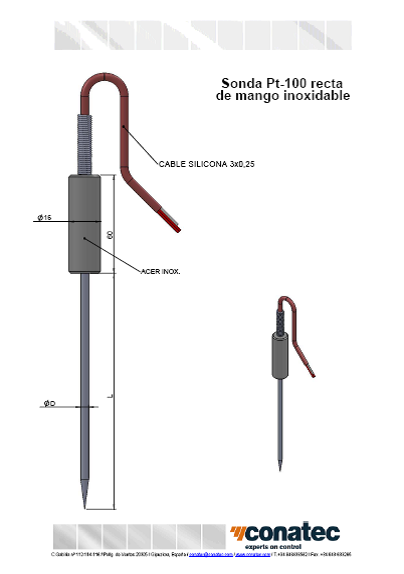 It is always worth indicating the operating temperature for the purpose of choosing the most suitable construction and materials. 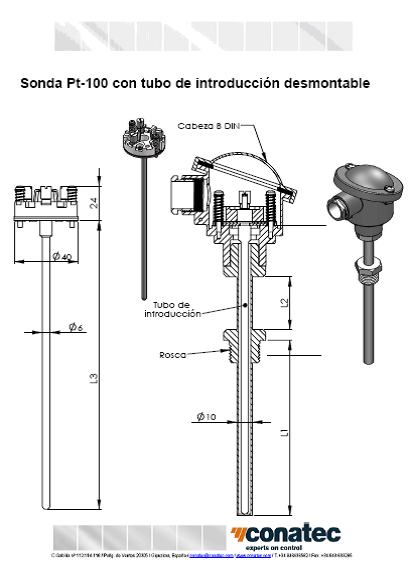 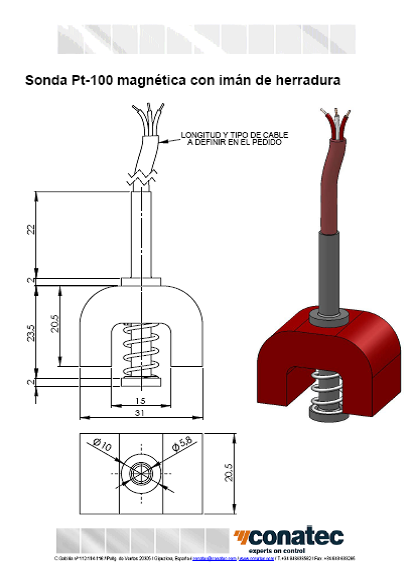 As a guide, the most usual constructions are shown below, although in many cases they are described by the customer's own drawings and specifications.